Are you looking for an easy and reliable banana bread recipe that allows for a little bit of tweaking? 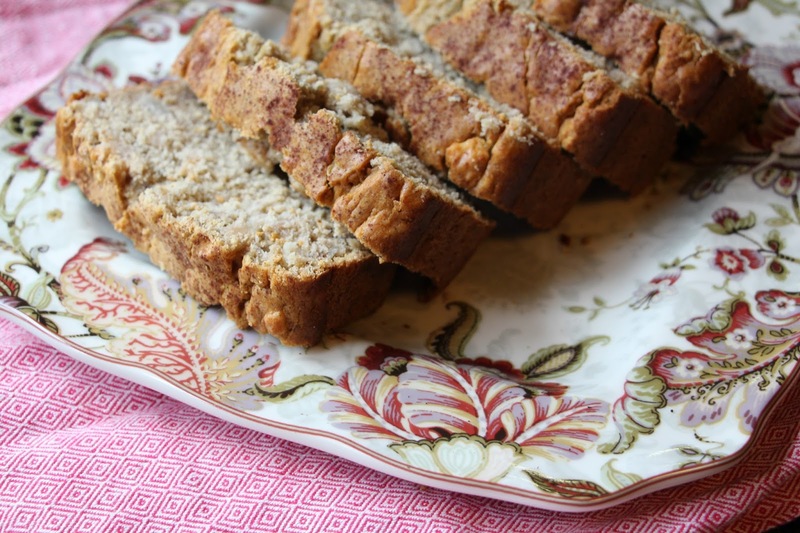 This apple cinnamon banana bread recipe has become one of my favorites no matter what time of year it is. The whole family loves this bread because it's delicious but also because it's really very simple to make with ingredients that are pantry staples. 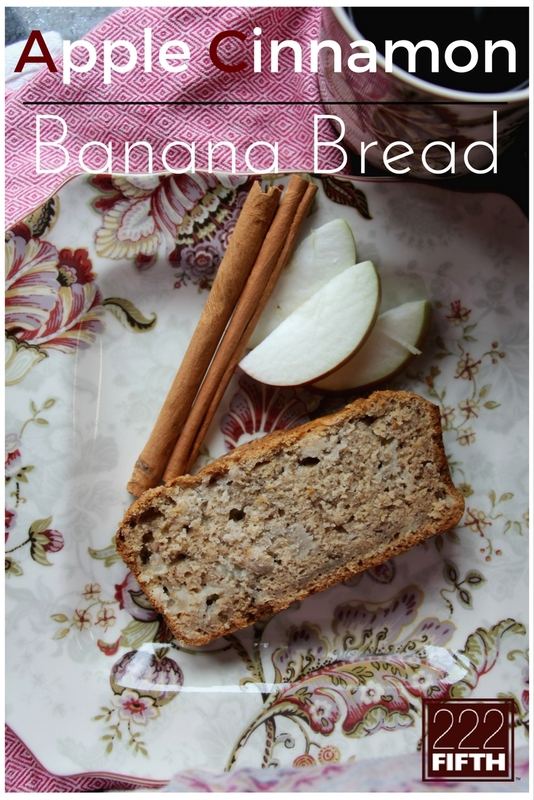 Whether your family leaves bananas or apples stranded, or you purchase them especially to whip up a batch, this recipe will surely make it's way into your baking rotation! Plus, I love a good reason to break out my very pretty 222 Fifth dishes. Swoon! Can you tell the baking bug has been strong this pregnancy? All I want is cake, bread, scones etc and so on! Stir in bananas and vanilla until your mixture is nice and creamy. In separate bowl, combine all of your dry ingredients- flour, baking powder, baking soda, salt and cinnamon. Gradually add your dry ingredients to butter, sugar and eggs ingredient mixture. Make sure to work out any lumps. 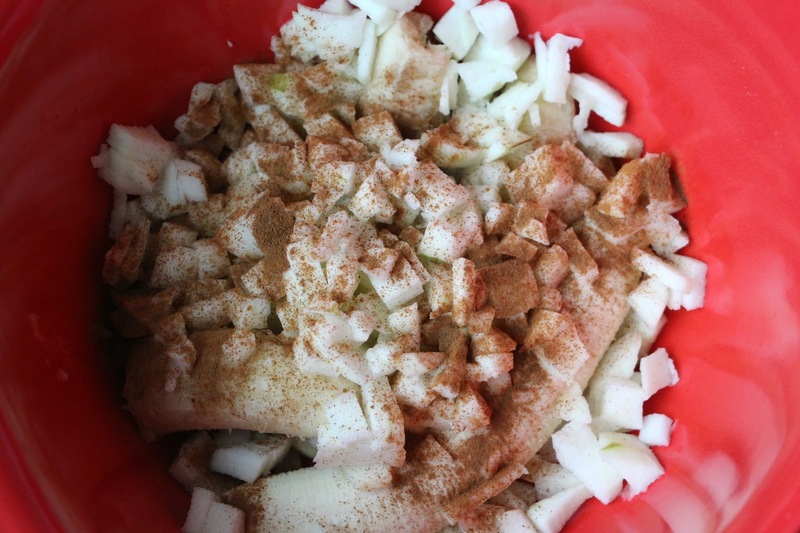 Gently stir in apples. These will add a nice texture to your bread. Spoon into greased loaf pan, dust with cinnamon and sugar then bake 50 minutes to 1 hour. Sometimes I really do love a good baking challenge but other times I just want a tried and true recipe that I can count on to be the perfect last minute preparation! This is such a versatile recipe. You can serve this bread for guests with coffee or to your family for breakfast. I love using the 222 Fifth Gabrielle in Cream since it's a very versatile print, perfect for any time of day or anytime of the year, really! Let me know if you try whipping up a batch of this bread; I'd love to hear about how much you love it, since I know you will! *This recipe was created in partnership with 222 Fifth. All opinions are my own. Pregnancy Style with PinkBlush + a Giveaway!